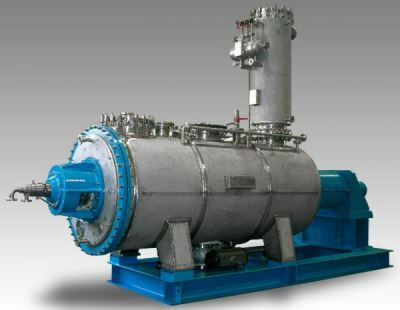 The Termomix® vacuum paddle dryer / reactor is intended for monoproduction applications or bulk production facilities as mixer, reactor, precipitator and dryer. 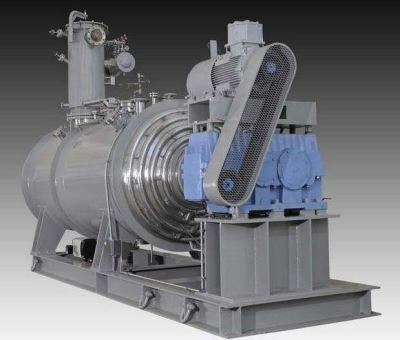 The agitator is supported on both ends providing excellent mixing characteristics, with externally interchangeable stuffing boxes or mechanical seals. Economic and robust multipurpose machine well suited for heavy industrial applications. 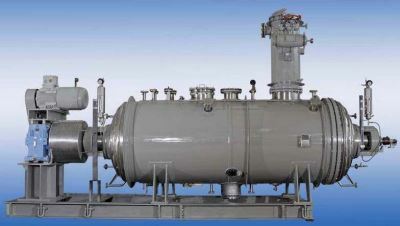 When used as a reactor the required solid and liquid components are added. The reaction typically takes place at elevated temperatures and pressures.